The monthly special offer for Code to FlowChart v1.5.1 has been expired, and the new monthly special offer for IP – MAC Scanner is started today! 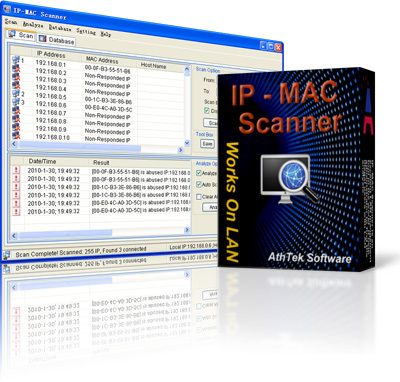 Anyone who buy IP – MAC Scanner in April, he will enjoy the 51% price off opportunity from the original price $43. Only 99 seats left for this special offer! If you are looking for an IP or MAC address scanner to monitor your network from being stealing, please download and try this smart network tool and you will find it is what you are looking for.